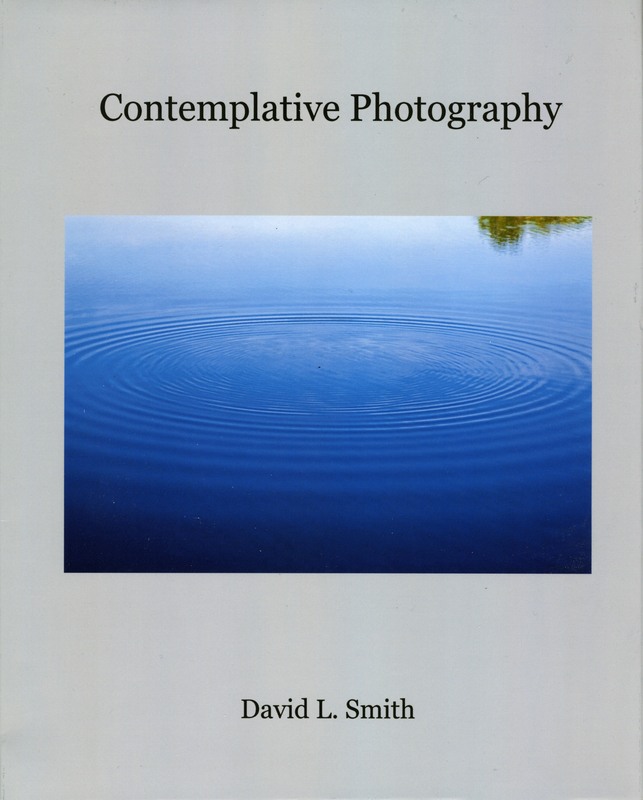 Contemplative Photography: Reflecting On Photographs is a compilation of images and related texts derived from my weekly blog postings. This and my other photography books can be previewed page by page by going to the links below. When I was getting started in photography the quality of printed books was generally very poor. The only way to experience high quality photographs was to attend an exhibition of original gelatin-silver prints. No longer. The quality of inkjet prints has been excellent for several years. Now the quality of black and white inkjet printing has caught up. Since archival tests have shown these prints to hold up for close to one hundred years—if kept in a light-tight, low humidity box—many, perhaps most, notable photographers have abandoned the film and wet process, particularly since galleries are increasingly selling digital inkjet prints. At a conference of photo gallery owners in New York I attended a few years back, color inkjet prints were selling alongside gelatin-silver for thousands of dollars. Black and white inkjet prints were just beginning to sell, but at much reduced prices. That too has changed. Some photographers and dealers are saying the quality of an inkjet print can be better than a silver-gelatin print. One of the consequences of advances in digital imaging and printing technologies has been a substantial reduction in the number of photographic exhibitions—outside of the five largest cities in the United States. Work is still exhibited at outdoor fairs and certain city-wide celebrations of photography, but the traditional exhibition by a single photographer is rare. They are costly to produce, launch and promote. There are time restrictions and sales by non-celebrity photographers barely cover the cost. The publication of photography books by unknown photographers—or those without a gimmick or sensational content—has for years been virtually impossible. This is understandable, considering the publishing industry’s struggle for economic survival in the digital age. On the upside, photographers of all stripes can reasonably and cheaply self-publish high quality books. While not achieving a large national audience, these books appeal to collectors and people who appreciate fine photography. They make great gifts. The photographer designs every aspect of the formatting and printing. And promotion and sales are handled by a third party. Beyond the prestige factor, the reasons not to self-publish is the small audience and lack of profitability. In such a climate artists need to examine their purpose. Why do I photograph? To make money? Communicate? Become known? Make a contribution to the field? Or simply have the work seen? Equally important—For whom am I producing this work? Where does my satisfaction lie? My response to the question of purpose flows from the discovery early on that I was compelled to photograph. I would do it, even if there was a certainty that not one person would ever see what I produced. Simply put, I love the world and photography is the best way I can express that love. My intention has never been to document or comment. Neither did I intend to make money or gain notoriety as a photographer. I just wanted to express the feelings of love and awe that begin with observing the subject and extend throughout the process, even to the signing of the finished print. I always wanted to my work to be seen—in the hope that some of what I felt could be shared, if even just a little. If my prints could talk, I’d want them to be a statement about the blessedness of Being. Toward these ends, self-publishing has been a blessing for me. This is my twelfth photography book. I’m very pleased with the quality of the printing. And I invite you to give it look. On the Blurb website, click on the book’s cover. When the page opens, click the “Preview” tab, then select “Dust Jacket” and click on the book again to turn the pages. The book(s) can be enlarged to full screen by clicking on the double, out-pointing arrows above the book. I’ve allowed that every page can be previewed. And the text is readable at the enlarged size. Here is where you will find all twelve of my photography books. Here is where you will find “Contemplative Photography” alone. This entry was posted in Uncategorized and tagged Contemplative Photography, gelatin-silver prints, inkjet prints, photo galleries, photography book, self-publishing. Bookmark the permalink. I experience the blessings of your view of a subject every time I look at your photographs. So glad to now have this compilation of inspired work along with your contemplations! Congratulations!